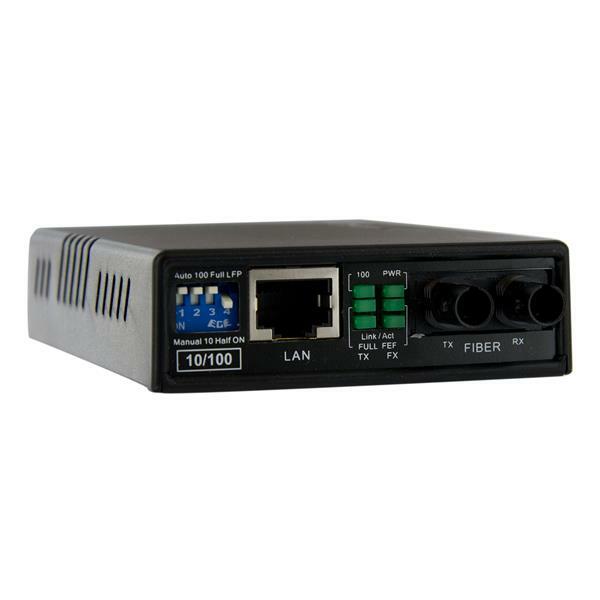 The MCM110ST2 10/100 Multi Mode ST Fiber Ethernet Media Converter (2 km) creates a cost-effective Ethernet to fiber link, transparently converting to/from 10Base-T or 100Base-Tx Ethernet signals and 100Base-Fx optical signals to extend an Ethernet network connection over a multimode fiber backbone. 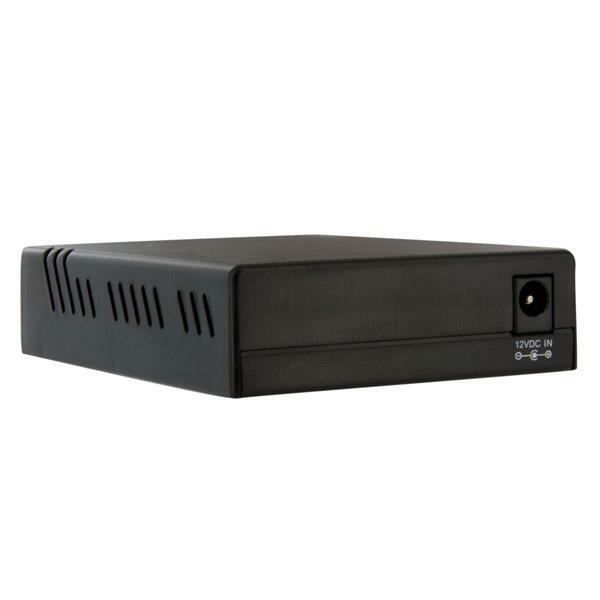 The ST media converter supports a maximum multimode fiber optic cable distance of 2km (1.2 miles), providing a simple solution for connecting 10Base-T/100Base-Tx Ethernet networks to remote locations using ST-terminated multimode fiber, while delivering solid network performance and scalability. 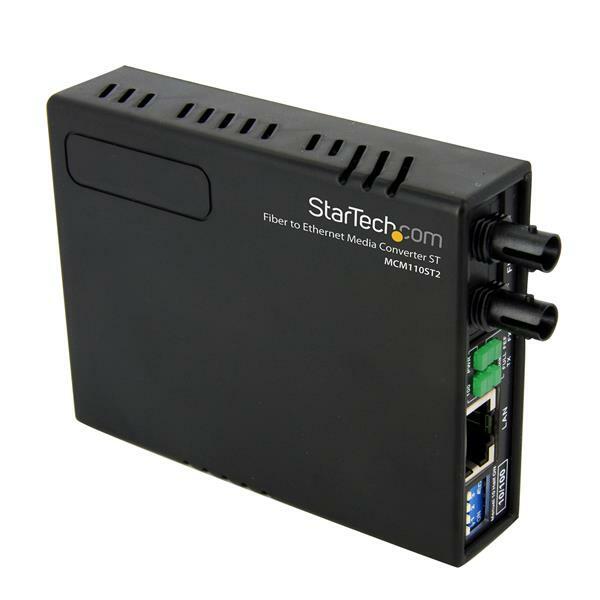 Easy to setup and install, this compact, value-conscious fast Ethernet media converter features auto-switching MDI and MDI-X support on the RJ45 UTP connections as well as manual controls for UTP mode, speed, Full and Half Duplex, as well as LFP (Link Fault pass-through) on/off. 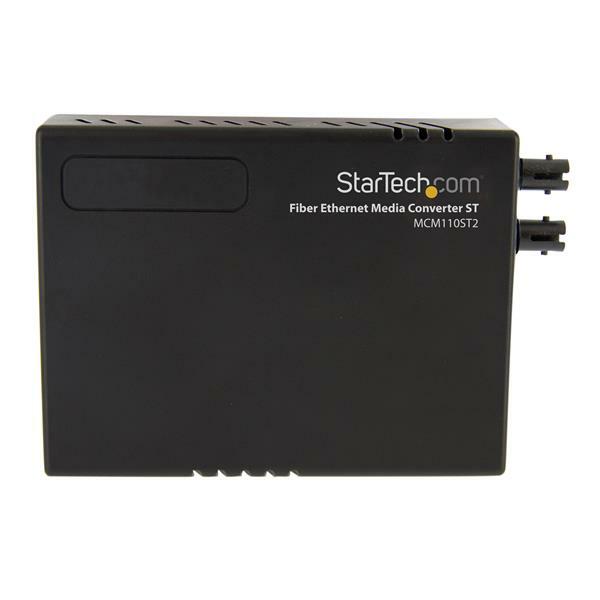 When you troubleshoot issues with a fiber media converter, there are some quick tests that you can complete to rule out potential problems. To identify what the source of the issue is, observe the power LED, LAN LEDs, and fiber link LED on the units. Make sure that you are using the provided power adapter(s). Make sure that the adapter is plugged into a compatible wall outlet. Make sure that the adapter is plugged into both the transmitter and receiver. Use the cables, fiber media converter, and network devices (including SFPs, if applicable) in another setup to see if the problem is with the components or the setup. Use different cables, fiber media converter, and network devices (including SFPs, if applicable) in your setup to see if the problem persists. Ideally, you should test components that you know work in another setup. DIP switches should be identical on both local and remote units. By default, DIP switches are set to Off (the switch is pointing up). For more information about the advanced configuration options, refer to the manual for your product. 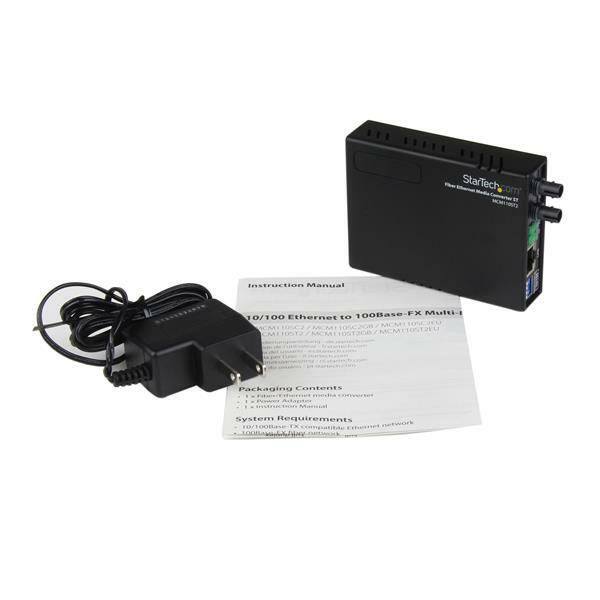 Use two computer systems directly connected to the fiber media converter LAN ports. Open a command prompt on Computer 1 and ping Computer 2. If the issue is not related to the network configuration, you should receive a response from Computer 2. For more information on how to ping another network device, refer to the following FAQ: https://www.startech.com/support/faqs/technical-support?topic=networking#ping-test-windows-mac-os.